Is hitting hard objects really effective in making bones harder? In several martial arts, there seems to be methods to consolidate for example fists and kicks by hitting them on hard objects. I am an amateur martial arts fan and wonder if these are real. Does hitting hard objects actually strengthen and consolidate the fighter's bones? What is the physiological explanation? Generally our biological systems are set up so that if something is damaged, cells lay down more, tougher material since clearly what we had before wasn't quite tough enough. In other tissues, this forms as scar tissue which can reduce your mobility, however bone just gives you denser bone. The ideal way to do this is minor damage, which, you can get from impacts. Of course, you need to have a certain bone density to begin with, otherwise you're just putting yourself into deep trouble (see what happens when people with osteoporosis take a fall...). The other issue is that if you actually break a bone, there's no guarantee it will heal correctly or the joints will be aligned exactly right either, even with medical care. Some repairs are too hard even for surgery to get back into place and they just settle for giving you a fake hip or throw a pin in to hold it together. Strain against force (in our daily lives, that's gravity + our activities) increases bone density. This is why the #1 recommended activity to avoid bone loss or increase bone density is resistance training. This is safer and generally better researched as the method to use. The only draw back is that some forms of increased bone density are harder to implement. For example, people toughen the center of long bones because it's tricky to set up weight across it easily, while clanging forearms against a training partner or a wooden dummy or kicking a tire is pretty simple to set up. In both cases, however, you're talking about a process of years of training to remodel bone, and even then there are limits - toughen your fists as much as you want, your metacarpal bones in your hand still can only take so much before they crack. For a lot of the cases of striking hard objects, you risk joint damage over time. Punches tend to suffer this the most, since knuckles are a joint, not a solid chunk of bone. Just like how bone remodels to deal with force, the joints will start building up calcium deposits... and then you can't move as well at all. So... for striking? Pretty much unless it's forearms/shins, you're probably losing rather than gaining. And even then, it's about consistent force over years of training, not "hitting harder" and trying to destroy objects as place where you see benefit. Otherwise, just go with resistance training. Yes, hitting objects does make your bones more solid. Bones are primarily made up of two parts, and outer layer and an inner layer. The outer is a thin layer of compact bone (cortical bone). The inner layer is far less compact and is known as spongy or cancellous bone. 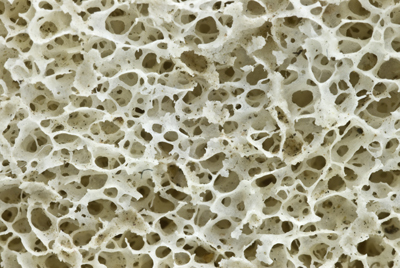 The thin layer provides up to 80% of the strength of the bone despite covering a much smaller area. Impact (hitting) will cause the density of the bones to increase. The other layer will thicken and the inner layer will become denser. On impacts tiny cracks are caused in the bone and when healed they are denser than before. This is not limited to impacts but also occurs under stress, lifting and twisting. Those with weak bones are often told to exercise and specifically do light impact movements, such as jumping. In traditional kung-fu hand hardening exercises were part of daily routines, and done in such a way to gradually increase bone density without causing damage. Modern boxers regularly suffer broken hands after punching forehands or hips, despite wearing gloves. This is mostly due to exercising only on soft pads/bags. There are quite a lot of medical papers which focus bone strengthening, one example which is quite accessible to non-medics can be found at: http://www.springer.com/cda/content/document/cda_downloaddocument/9783642023996-c1.pdf (requires PDF reader). First of all, you should focus on learning and executing the correct technique. You can have all the bone density you want, but an correctly executed strike will be much more effective and "harder" than a poorly not correct strike. Training to achieving speed and correct technique should be much more important in your training routine than increasing your bone density. Second : It's not the weight or the strength of your bones that results in a powerful punch, but the body weight, technique, and MUSCLE. If i have 30Kg of muscle on my arms, and you have 10Kg, you may be able to hit an wall after years exercise and not break your hand. But I can knock you out you without any tedious and painful hours of hitting an wall. You want to hit harder? Hit the gym, and get some muscle and learn how to use your body weight in your favor. Third : Know where to hit, and how to use speed/body weight to hit gracefully. I'll assume that your teacher is already training you to where you should hit so I'll not expand a lot on this(even because that changes with different martial arts, me as Krav Maga learner most of places I hit can kill you! ) You don't need super strength to kill someone, you just need to know where to hit. Your strongest punch doesn’t land when your arms are fully out-stretched. Your punch hits harder when it lands a bit shorter than your full range of motion. Getting hit by a counter-punch hurts more than anything else. Exhale sharply on every punch. Body rotation, body rotation, body rotation. A full rotation with short arm extension hits harder than a small rotation with full arm extension. Conclusion : Hitting an wall or anything like that doesn't make any sense if your goal is to "hit harder", the ability to hit hard is the result of good technique, having muscle, creating impulse and speed and knowing where to hit. Remember that essentially, mass (m) times (v) velocity equals impact power. There is already a very good question about this here on Martial Arts. Indeed one of the symptoms of osteoporosis is pain. But the bones is not where you feel pain. You feel pain on the nerves. And pain is not a physical thing, it happens only inside your head. Control your mind and you control your pain. At same time you can become desensitized with the pain if it's regularly, you body learns to ignore it and you feel less and less pain, and at same time it grows stronger not just the bones, but the nerves, the muscles. Everything! There's little research on this subject so I can't prove that increased bone density means less pain, but even if they researched this would be difficult to prove that isn't just desensitization or muscle adaptation. So the best I can say to you is : if you want to feel less pain, then feel the pain! Feel the pain with all your being, feel it on every cell, recognize that it's merely a warning of your body and that will pass eventually. While the same exercises that supposedly increase your bone density is the same that will help you to overcome the pain, it's not possible to prove a direct link between the two. It would be very hard to any scientist to isolate the conditions and the biological adaptations that occur at all levels(plus pain can't be really measured). This one is tricky. At same time that increased bone density make bones stronger, it also make them less flexible. So it's a question of balance. Too low bone density and your bones will crack like glass. Too much bone density that your bone cannot bend and it will crack too. The scientific evidence on low bone density and broken bones are very well documented. The scientific evidence on the other range is also very well documented and when the bone density is very high, it is usually associated with some sort of disease or illness and bone density is not equal to bone strength  and . The scientific evidence on the risks of punching hard objects for a long time is scarce and since then i cannot guarantee that it's safe/not safe or effective at all. But why risk? However I would argue that again, the majority of people that break bones punching is because of bad technique. My master warns us all of the time of the importance of having a good technique to avoid breaking your hand, some people above my grade already broke their hands because they were doing it wrong. Technique is always everything! If in doubt ask your master/teacher how to properly punch and practice that a lot, and then practice more. This is a much more reasonable advice to give if you want to prevent broken bones than "pick a wall put some news papers and hit it 20 times every day" because no matter how strong your bones are if you are punching the wrong way you will break your fingers. You may also be interested on see what you can do to strengthen your hands and your wrist with weights, you would be surprised of how weak your hands/fingers and wrists are if you never worked them before...That's exercises really helped me on my martial arts, possibly much more and safer than hitting an wall, but I won't include them here because my answer is already very long. I hope it helps and answer what you truly wanted to know behind your question. Well it seems I might be the only one who thinks this is mostly a myth. I'm open to the possibility that bone density can be changed by beating against the bone or breaking the bone, but I'll require citations for that from scientific sources first. ... Now, what I left out was bone strengthening. The theory goes like this: Micro-fractures in bone cause rapid mineralization of the fracture site, filling it up with calcium to reform the bone. So by repeatedly causing these micro-fractures, over time it can lead to a much stronger bone. Of course, that article refers to medical bone breaks and fractures. But what about martial arts micro-fracturing? All bets are off. I don't think it has been sufficiently studied to say either way. My feeling is that there probably will be some increase in bone strength, but it will only last until you stop the iron body training. At which point, it will probably return to normal strength. Most likely, then, what people perceive as their bones getting stronger is actually just a lessening of pain and an increase in power due to mechanical adaptations as a result (mentioned above). One of the things you can definitely do to increase bone density and bone volume is to start doing weight lifting exercises. Increasing the load (weight) your bones have to endure will cause your bones to grow. This is described in Wolfe's Law. But once again, this is temporary. Your bone's strength will decrease again after you stop loading it. Ignoring the answer that links to a completely irrelevant topic of fractures, rather than micro fractures (which is the equivalent of comparing bicep tears to tears in muscle fibers that cause muscle growth) it’s quite obvious that research shows bones do strengthen overtime from high impact. Just think of it from a logical perspective. If you ever watch UFC or any type of kickboxing or Muay Thai there are vicious kicks and leg checks. Having experienced that, I can tell you that it’s extremely painful and it’s certainly possible to break your legs from a check. So is it true that all kickboxers are naturally born with unbreakable legs? I guarantee you an average joe will snap their tibia in half of they kicked someone’s leg with a kickboxers amount of force. Obviously the kickboxers strengthened their shins over time. And I can also tell you I can kick harder objects with significantly more force than I could before I started training my shins. Five years ago I would’ve broken my leg on a heavy bag kick that I do now daily. Not the answer you're looking for? Browse other questions tagged drills or ask your own question. How are joints affected in the long term by martial arts practice? Does weight and muscle power really impact punch power and kick? Huge bruises on shin from heavy bag leg kicks?